As a manufacturer, you need to use banner advertising to protect and increase your sales and revenues. — In this post you will learn what banner ads are, how they target your customers and prospects and how you can best maximize their effect to win online. Online banner advertising is everywhere these days. They are one of the most powerful ways to both earn new business and keep current business. In 2017, banner ads on the Google Network alone have the ability to reach 80% of Internet users, giving the sales and marketing efforts of manufacturers an incredible lift. 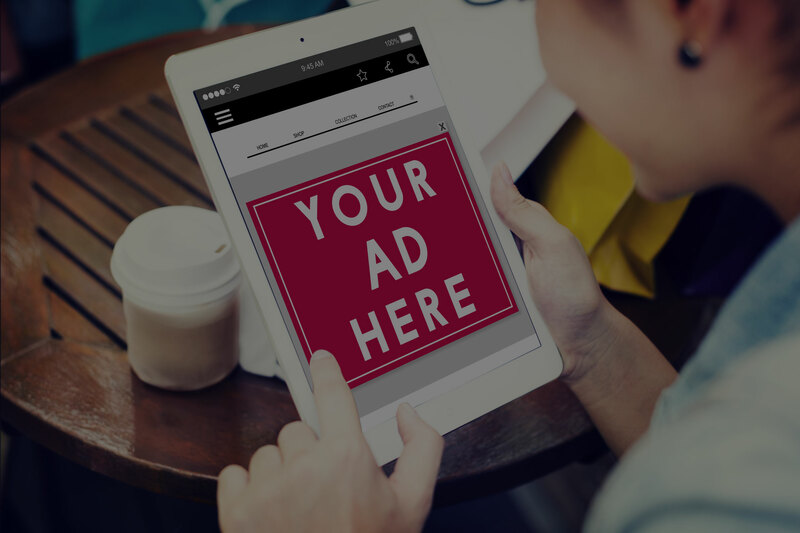 In this post we will a) explain what banner ads are, b) give you a rundown of how banner ads work to target your customers and prospects and c) provide examples of how you can use banner ads to protect and increase your manufacturing sales revenue. 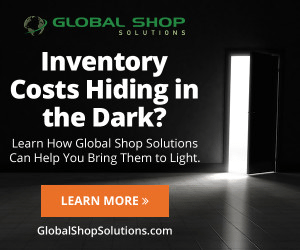 NOTE: If you’d rather skip the details and get started with banner advertising for your manufacturing company, Global Shop Solutions recommends the agency we use, our agency of record, Expert Internet Marketing. 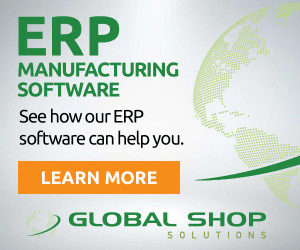 Their team has profitably managed the online advertising of Global Shop Solutions for several years. As a Google Premier Partner Agency they can help you get the most out of your online efforts. 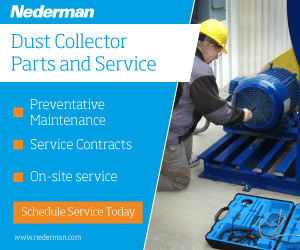 Their services include banner advertising; search advertising with Google AdWords, Bing and Yahoo; email marketing; website design for manufacturers and other professional advertising services to help your manufacturing business grow. 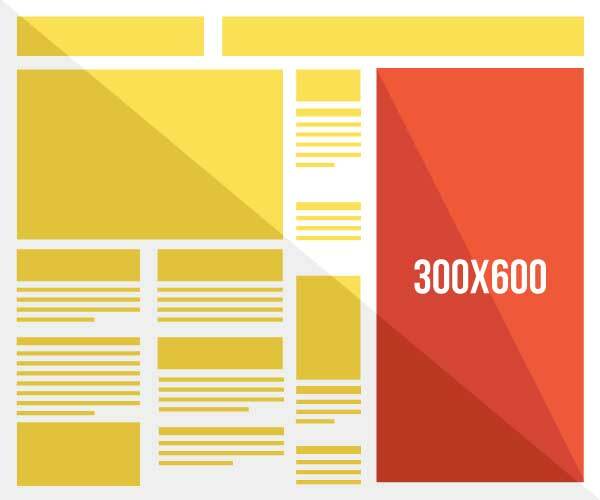 Online banner ads (or simply, “Banner Ads”) are pictures and images embedded by advertisers into millions of other websites across the Internet. 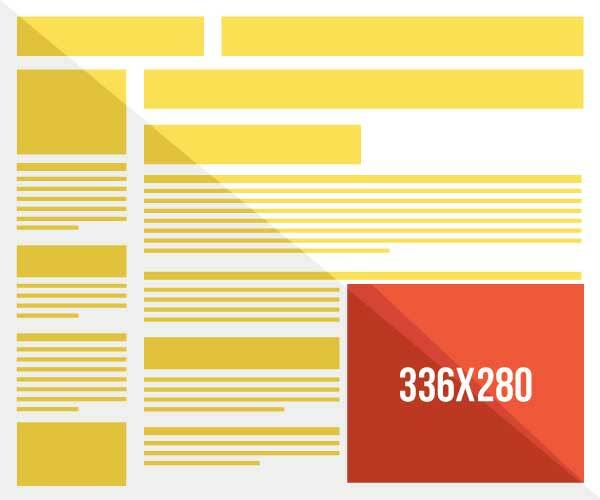 Banner ads come in various shapes and sizes depending on the layout of the website they are embedded within as well as the type of device used (e.g. a mobile phone, tablet or desktop computer). 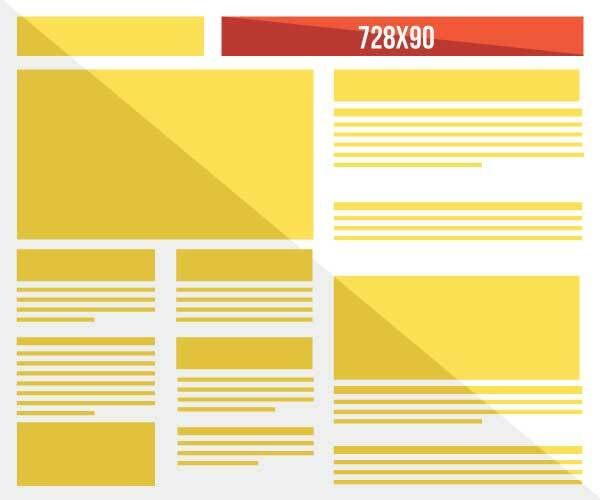 Take a look at the images below to see some visual context of how banner ads of various shapes and sizes might appear [shown in red] within web page content [shown in yellow]. 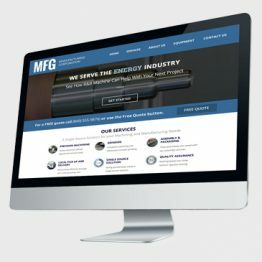 John is on your website. John leaves your website. Now what? Is John a lost cause? Luckily, no. John will now see YOUR ads on OTHER websites he visits. Your ads will appear to him up to 18 months after his last visit. Example: John, like 98% of all website visitors, will not call, inquire or purchase anything on his first visit. In other words, he won’t convert. But as he regularly visits some of his favorite sites such as CNN.com, Weather.com, MLB.com and millions of other top websites, he is reminded of your business and special offers. When your banner ad appears on such trustworthy websites it boosts your visibility and credibility as a business. John will eventually return to your site for a closer look, and likely, turn into your newest customer. Advertising platforms such as Google know a lot about our interests and buying habits. It’s just the way the internet works these days. John regularly searches for topics of interest that align with your business. And so, he sees YOUR ads on OTHER websites as he searches throughout the world wide web. Example: Your typical buyer is a business professional. John is a business professional. He visits websites that other business professionals frequent, be it Bloomberg, Business Week, or a site with the best in ergonomic office furniture. Your brand, products and services are appealing to business professionals. John is then more inclined to click on your ad, land on your website and convert into a sales lead or purchase. “In-market” is a little more detailed than interests. Using search history via Google, we can tell that someone like John is gearing up to make a specific purchase due to the type of websites he visits. He is within a buying window or “in-market.” Now he will see your ad offering him exactly what he’s looking for. Example: John needs to buy an aftermarket part for his vehicle and he’s been looking around for the best deal. 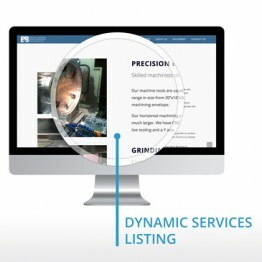 If you sell aftermarket parts, your ad will continue to appear to him as he browses the web, reminding him that you offer great products in the categories he’s looking for. He couldn’t possibly resist clicking on your ad to learn more about your company and, because banner ads work, convert into a new sales lead or purchase. Based anonymously on the types of websites our friend John frequents, advertising platforms such as Google “know” John’s gender, age and parental status. Because John matches the type of demographic profile of your typical buyer, John sees your ads everywhere he visits online. 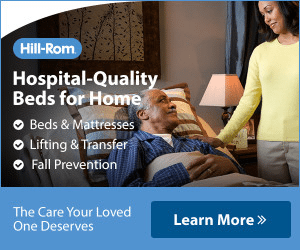 To really pinpoint specific interests of potential customers, this type of banner ad is displayed to everyone who visits an individual page. Example: Say you are in the aerospace manufacturing industry and John is a business professional in the aerospace industry. He probably spends a good chunk of his online time visiting sites and reading articles about that very industry. If he is perusing an article about the latest aerospace innovations and sees your ad, he would be more likely to click on something that really speaks to his professional interests. To really increase your ad’s visibility to potential customers, you can select a combination of any of the previously mentioned segments. Example: Here is what we know about John; he is a 46 year old professional male in the aerospace industry and let’s say he’s visited your site twice. He is both your average and ideal customer. Based on a combination of Page Topic and Demographic Targeting your ads will be shown to folks like John who visited websites about the aerospace industry or have visited your own website at least two times. This really is a two-for-one special, guaranteeing interested visitors will be flocking to your site in droves. There are three core strategies manufacturers can apply to banner ads to both protect and also increase sales revenue. When someone sees your brand over and over again it builds your company’s credibility. When someone sees your brand over and over again on other top websites across the Internet it builds even more. Familiarity is a powerful tool. It helps your business attract new customers and keep others from poaching those you already have. The best way to promote your brand is by targeting previous visitors to your website, showing them ads with your brand name, logo, colors and message. Before long prospects and customers alike will say to you, “Wow, I see your company everywhere I go!” Here are a few examples of banner ads that promote both brand and message. Advertising your company’s brand via banner ads is incredibly effective. But to really get the most out of banner ads, you have to get specific. Target an innovative new product, a specialized service, an old favorite being offered once more. People respond well to this precise advertising because they know exactly what they’ll be getting from you. 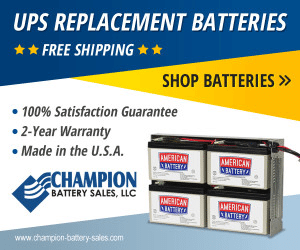 This type of banner ad promotes depth to your customers and prospects. They see your full range of products and services, understanding what makes your company stand out. Once you cover your bases by a) promoting your brand and b) promoting the specific products or services you offer, focus on promoting your specials. Holidays, brand causes and special events are the perfect opportunities to utilize this type of ad. 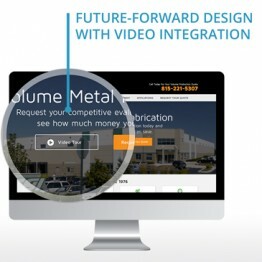 Banner ads are a no-brainer must-have for any manufacturer. They are perfectly in sync with our society’s online browsing habits. Most importantly they put your company’s name in front of current and potential customers you know will love your goods and services. Let’s review the three main reasons you must start using banner ads today. Compared to other advertising methods such as trade shows, magazines, television or print mailers, banner ads can cost as little as $5 to $10 just to reach 1,000 targeting customers – where else can you get that kind of amazing deal? 24 hours per day, seven days a week without fail, your banner ads are shown to current customers, buyers and prospects. Our world is now 24/7. Your advertising should be too. Banner ads market your brand to the people who are already interested in what you do. With the various types of targeting, you can guarantee each ad lands with the most impact. 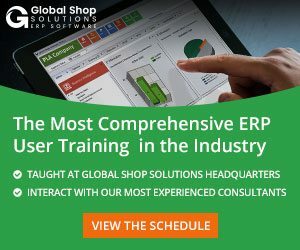 If you have any follow up questions about starting your own banner ad campaign or other online marketing campaigns please contact a Global Shop Solutions’ Account Representative or our own agency of record, Expert Internet Marketing. 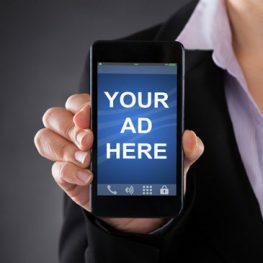 They can help get you started on what is sure to be a successful banner ad campaign. Good luck on your newest advertising venture!